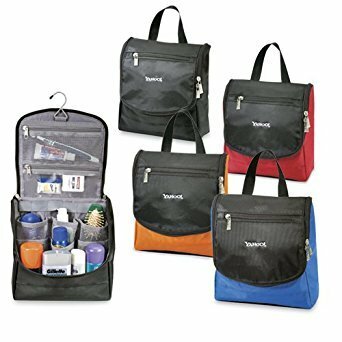 Traveler amenity kit with multiple interior pockets. Mesh zippered pocket for stowing your travel items. Metal hanging hook and carry handle.